SW7 304 (date and location unknown) (EVDA Slides). SW7 79 (Frisco 304) at St. Louis, Missouri on August 1, 1981 (M.A. Wise). 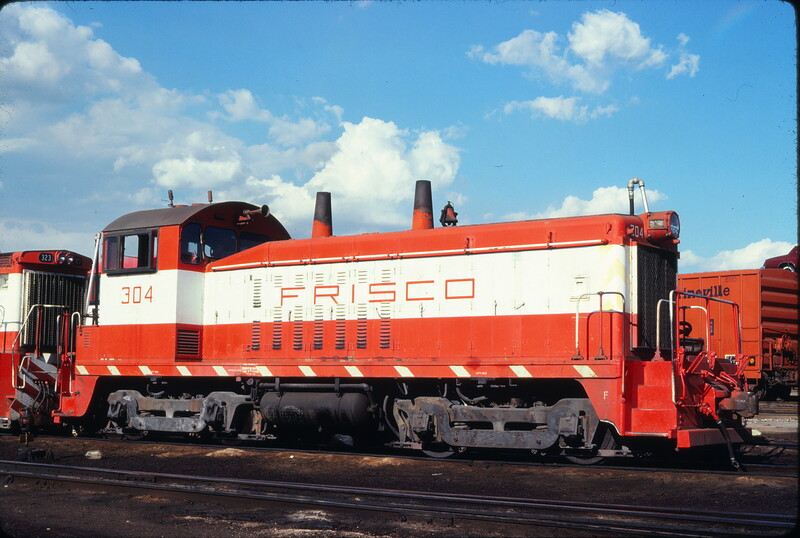 SW7 300 at Wichita, Kansas in March 1972. 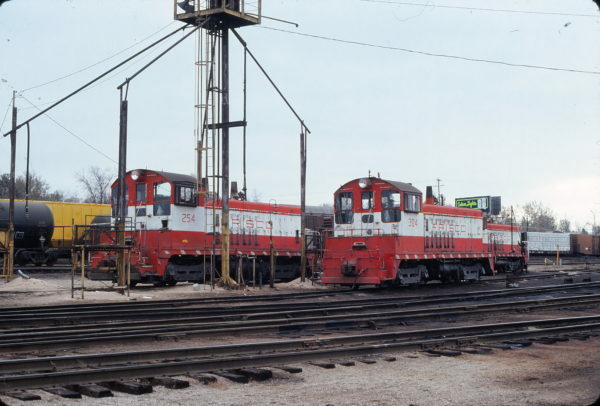 NW2 254 and SW7 304 at St. Louis, Missouri in November 1979 (Ken McElreath). SW7 302 at Tulsa, Oklahoma in June 1974 (Mac Owen). 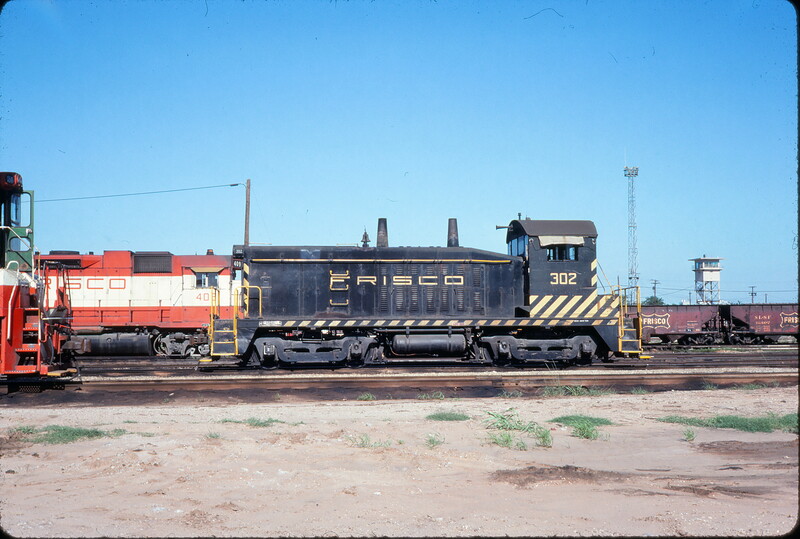 The locomotive is sitting in the Mechanical Department’s service tracks area. This is northeast of the former Alabama, Tennessee and Northern (AT&N) freight house and offices at 701 Telegraph Road. 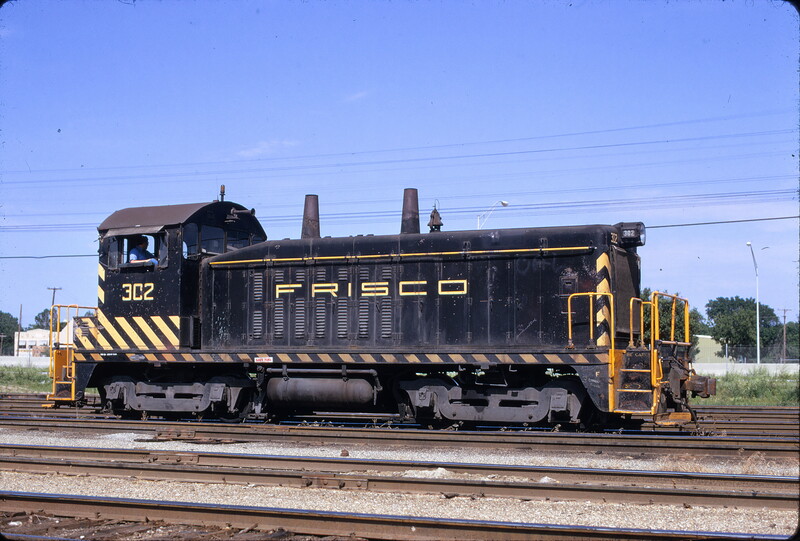 Image was taken from Industrial Road West. There are a number of interesting details in this view. 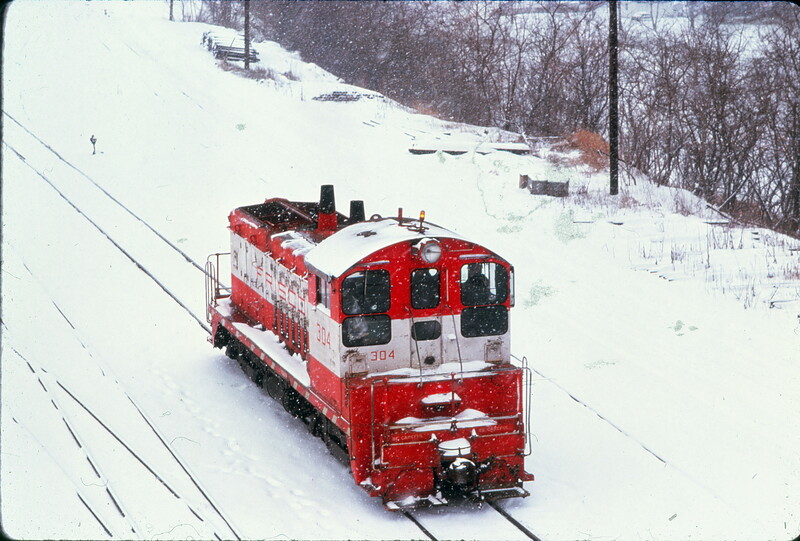 Seen in the cab through the lower window, mounted behind the engineer’s seat, is a fire extinguisher. 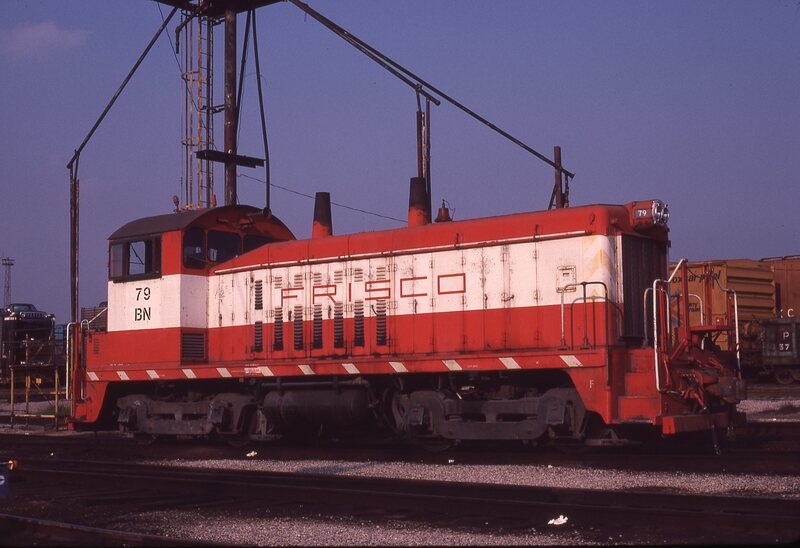 A second extinguisher is mounted on the fireman’s side inside the forward hood door by the engine start switch. The ABC type dry chemical extinguishers are important on a machine with potential ordinary combustible, flammable liquid and electrically energized fire hazards. Left of the rear cab door on the battery box lid is a galvanized drinking water cooler. 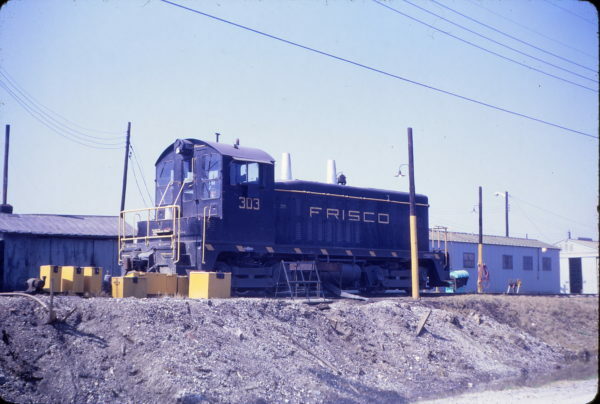 Coolers were typically mounted inside the cab, but in this case it is outside to avoid cab heat and/or to supplement the supply. This is an especially useful device on hot, humid days along the gulf coast. On the cab roof in addition to a caged amber locomotive identification light are two styles of radio antenna. On the left is a T-shaped or “nail” style, to the right a more modern “whip” style. The early barrel style Pyle headlight has been modified with a plate to convert it to sealed beam lamps. In this case the plate is turned vertically with one lamp space blanked out. Photos indicate that SW7 SLSF 304 also had a similar headlight conversion plate, but in a horizontal position. The headlight castings formerly had a single glass lens, large reflector and incandescent lamp. Conversion plates were one small effort to standardize and reduce parts inventory, especially at outlying points. 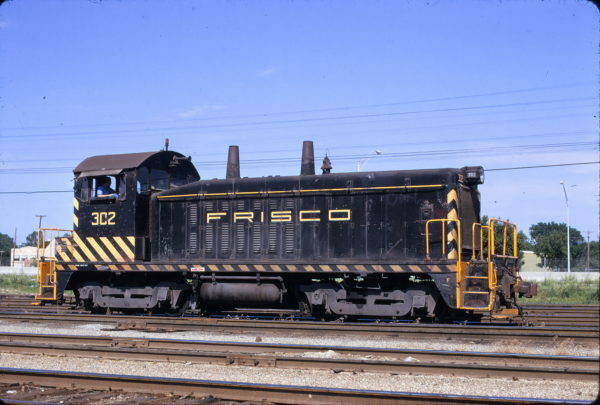 Also note the louvered carbody hood door to the left of the “F” in Frisco. 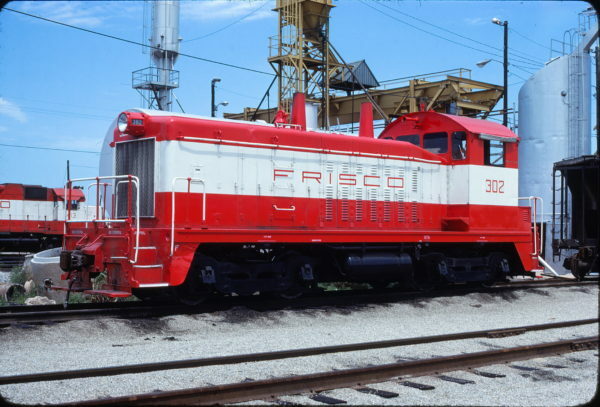 This and the corresponding door on the fireman’s side were replaced to improve ventilation cooling around the main generator. In addition to the added louvers with different spacing, the replacements featured at the upper and lower corners the newer clamp style latching mechanisms. The other original doors feature a twist handle door locking mechanism near the height centerline. 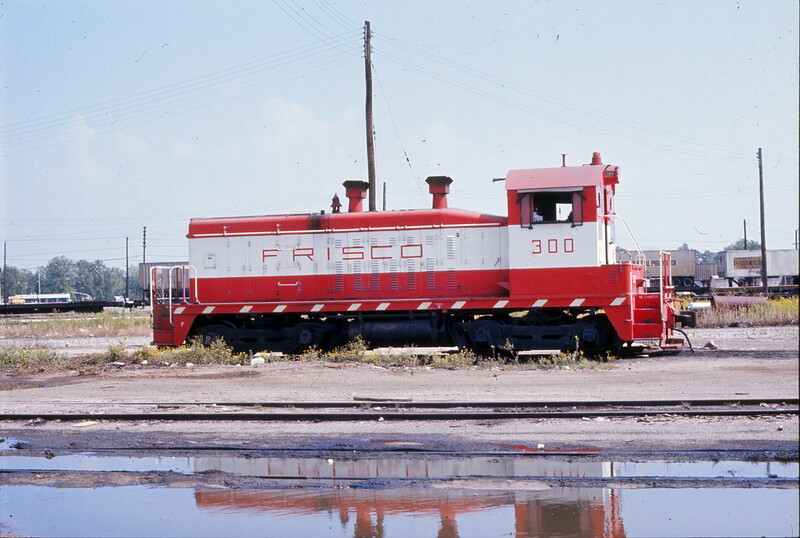 SW7 302 at Tulsa, Oklahoma on June 24, 1978.